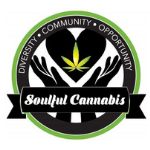 Join the TerraVida team at the Soulful Cannabis Medical Marijuana Education and Registration Event . Soulful Cannabis is holding this event to educate the public on the benefits of medical marijuana. Speakers include medical professionals, patients, patient advocates and parents of children with conditions that benefit from medical cannabis. There will be free registration tables staffed with volunteers to help you get started on your own medical marijuana card. Other guests include marijuana dispensaries and grower/processors to meet with the public via informal “coffee table conversations”.